My newest brand obsession totally makes you wake up like that. 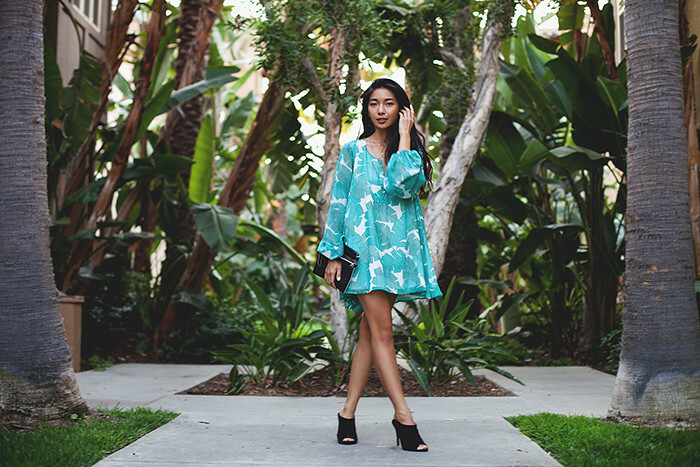 Show Me Your Mumu tunic. Cynthia Vincent clutch. Chinese Laundry heels. 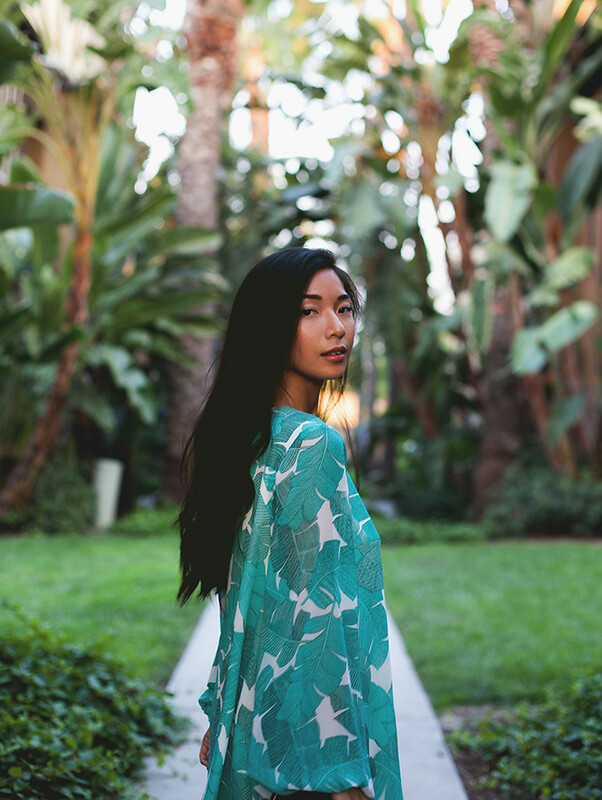 I recently discovered the adventurous fairytale brand, Show Me Your Mumu, during a fun, low-key gathering at Revolve Clothing's Malibu Beach House. It was an intimate affair where I was lucky to have learned about the brand from the graceful, talented (and smart!) designers themselves, Cammy and Cologne. While still a fairly young brand, their flattering and ultra comfortable mumus have been making waves from inside their NYC apartment to the big league retailers today like our favorite Revolve Clothing. 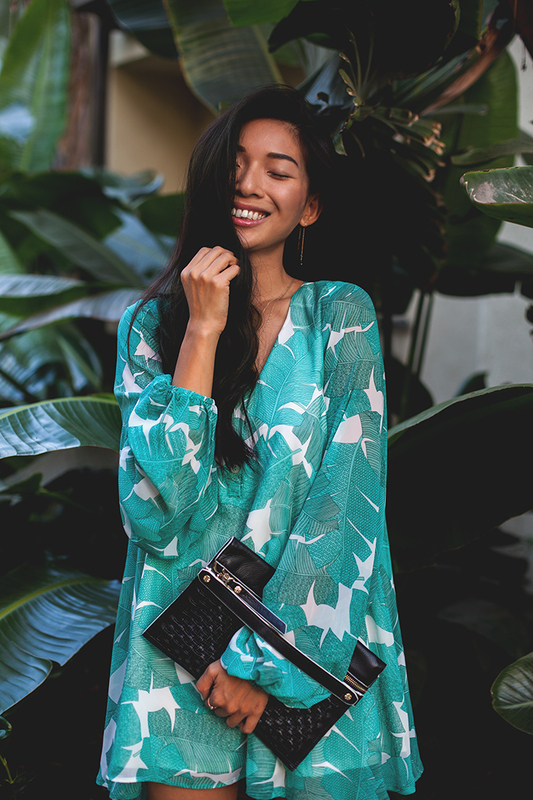 As I was perusing their colorful collection, they showed me this dreamy palm-printed tunic that carried a luscious bounce and flowed like a feather. It was instant love and an instant craving to wear this piece day and night all summer long, straight out of bed to a cat nap on the beach. The best part is that their pieces can travel with me, forever wrinkle-free. And that's every reason to pack only their entire collection for your next trip to Santorini or Santa Barbara. Was it also an amazing coincidence that these two ladies also hailed from my alma mater, UC Berkeley? No, it must've been fate. It's not everyday I meet a Cal bear in my line of work. Go sartorially-talented Bears! Wow, I'm always looking for stuff that doesn't crinkle up & this sounds like it could become a perfect thing in my wardrobe. Definitely going to check them out! Yes! It's great to find a brand whose pieces are essential for traveling and these are also easy pieces to wear. Just throw on a dress and get to the beach! I love how you've styled this tunic, it suits your figure so well! Thank you Lauren, this is definitely a flattering cut for any body type! Such a pretty tunic. The length is perfect for petites! Exactly! It's just the perfect go-to for any occasion.